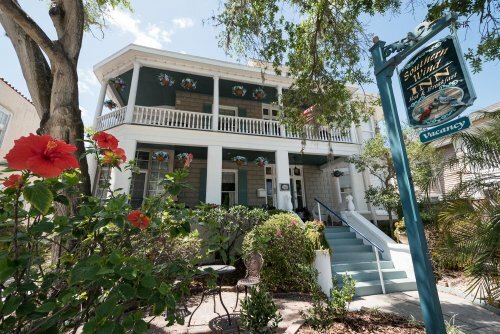 The Southern Wind Inn Bed and Breakfast is in the heart of St. Augustine's Historic District just 2 blocks from St. George Street and walking distance to everything. And we have plenty of free parking! Experience our beautiful turn-of-the-century B&B where we'll serve you a full and hearty breakfast every morning in either our formal dining room or on one of our spacious verandas. This elegant Bed and Breakfast Inn is built of coquina masonry with columns and verandas that accent her gracious southern charm. 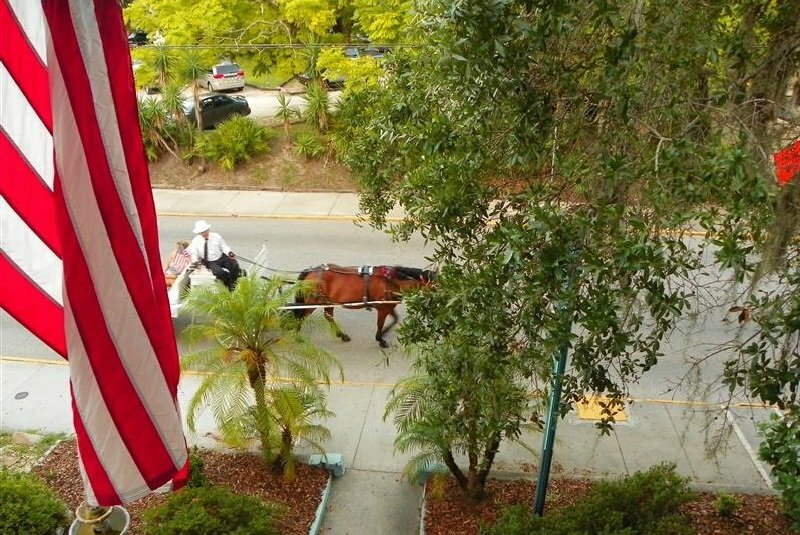 Passing horse-drawn carriages contribute to the ambience of a bygone era. 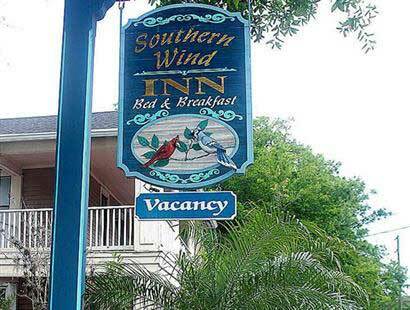 Southern Wind Inn Bed and Breakfast has retained its vintage architecture while offering you the comforts of central air, king and queen size beds, and private baths. Each bedroom is uniquely appointed with period furnishings and antiques. Additionally, all rooms feature free WIFI internet access as well as HD televisions and FREE HBO. Note: Children age 12 and older are welcome. Sorry, but we can not accommodate pets. BOOK DIRECT WITH US FROM OUR WEBSITE FOR 2 OR MORE NIGHTS AND RECEIVE A $10.00 DISCOUNT OFF THE FIRST NIGHT! Our Low Rates Are Now Extended Through July 2019! Our reasonable rates always include a great hot entree breakfast each morning, afternoon refreshments, and free parking. All of our rooms have private baths, our Inn is in St. Augustine's Historic District and we're walking distance to all the great shops, restaurants and sites. 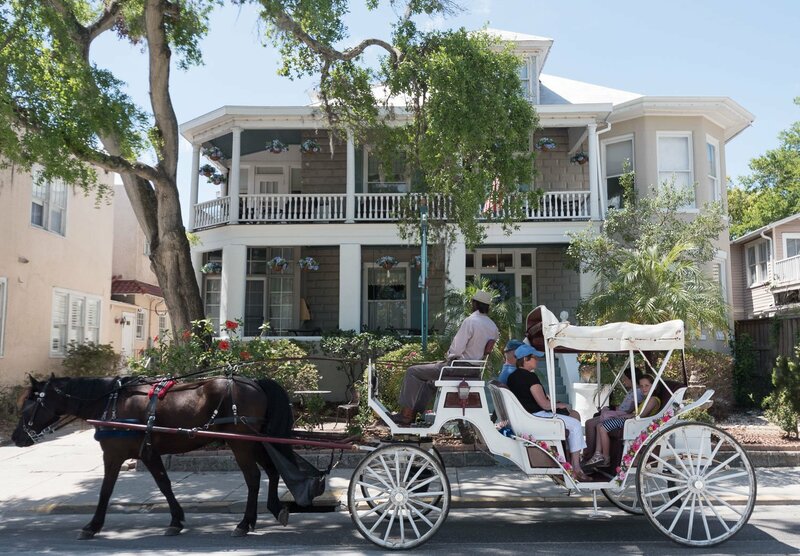 And the Historic District is only a 7 minute drive from St. Augustine's beautiful & pristine beaches! The Southern Wind is proud to offer a 10% discount for active duty military personnel! We will be glad to answer any questions you may have about our Inn.